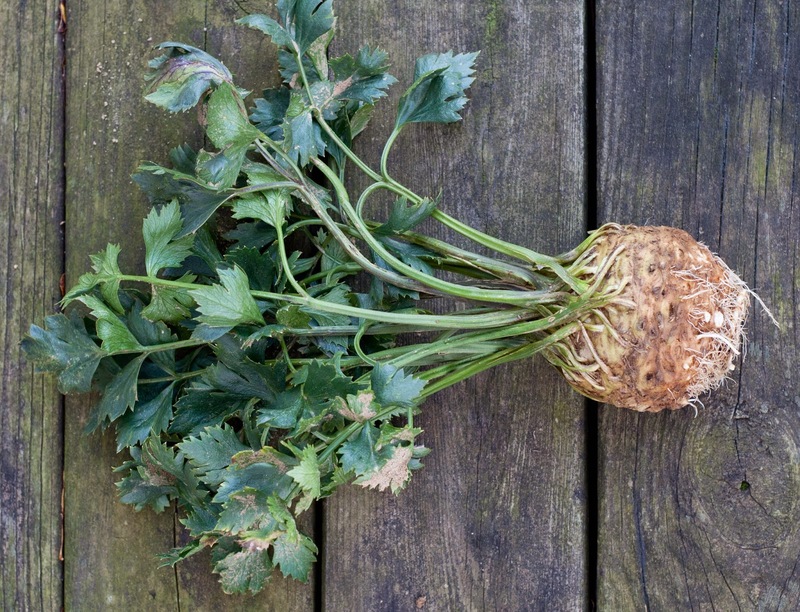 Celeriac is part of the Apiaceae family which means it shares kinship with celery (obviously), carrots, parsley, and fennel just to name a few. It takes a very long time to grow. I seeded them in the greenhouse in trays in February, then we transplanted in the field in late april/may, and I finally started harvesting them the first week in October. Pretty wild! Celeriac has such a unique taste...it's like a potato with a slight taste of celery. Man, does it make an A+ addition to soup. Truly great. Other options for enjoying Celeriac are raw in a salad (pairs well with apple), hashbrowns (50/50 celeriac and potatoes) or in a hash. Boil water and add chopped celeriac. Simmer for 3 minutes and then add potatoes. Simmer for an addition 2 minutes. Remove from the heat, drain, and let cool. Meanwhile saute onions and in a separate pan cook the bacon. After bacon is done cooking let it sit on a paper towel to absorb grease. 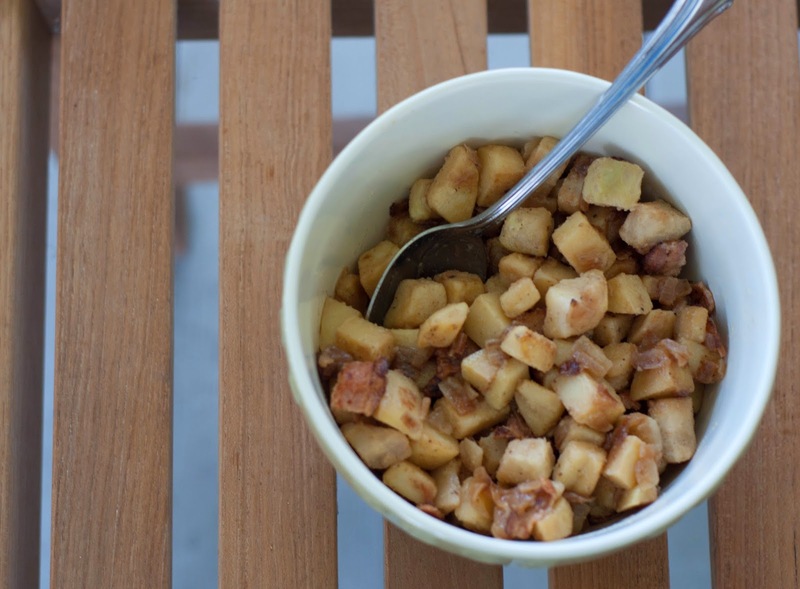 After onions are translucent combine apple and potato/celeriac mix. Cook for a few more minutes and then add bacon.